●The motor has high efficiency. The coil is specially treated to withstand high temperatures and does not burn the motor. ● All use high-quality aluminum alloy precision castings and stainless steel accessories, the whole machine is light in weight. After careful polishing, the surface is painted by high-quality electrostatic spray paint, air tightness, beautiful appearance, and not afraid of sand, salt spray corrosion. ● Widely used in -25 °C to 45 °C ambient temperature and high humidity, sand and salt fog and other environments, with high reliability. 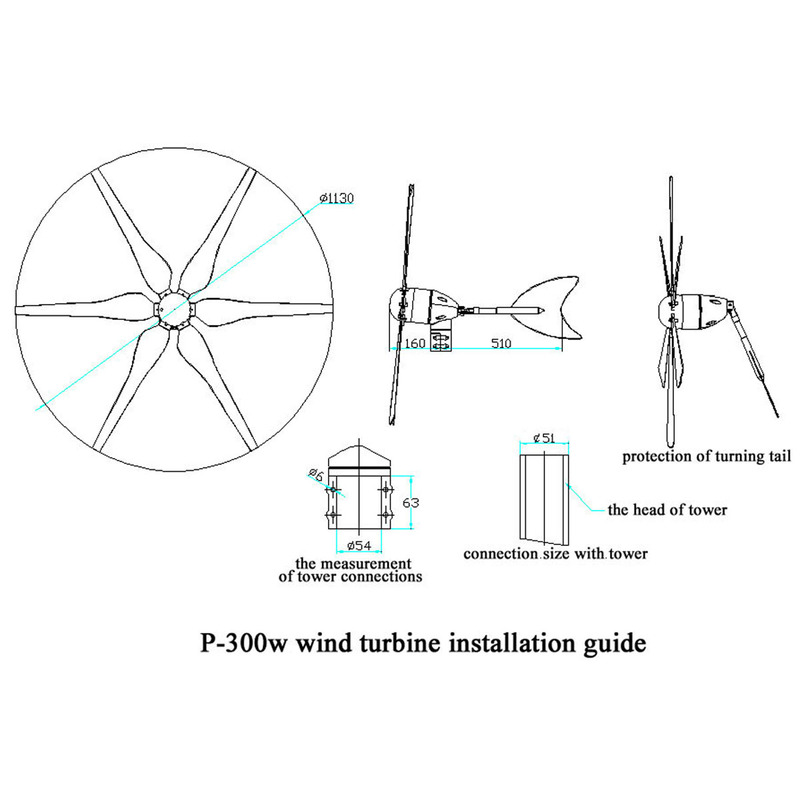 A good installation site should have two basic requirements: higher average wind speed and weaker turbulence. The product is AC, which is converted into DC by the controller before it can be charged into the battery. 1.The controller is built into the machine. 2.This product does not include brackets. Pictures are for display only. Thank you.